With the recent revelations of the alphabet agencies spying on Americans and their private lives many of you may be overwhelmed. Many of you may have decided there is no way of getting out from under this big brother microscope so you just live your life and live with it hoping that you don’t get snatched in the middle of the night and taken to a prison until proven innocent. As I have always said, the chances of you being falsely arrested due to a big government agency wrongfully identifying you are way less than the chance that other nefarious forces are going to co-opt this technology and use it to do terrible things to you. Whether the information is bought from a private contractor who is hired by one of these agencies or if one of the contractors themselves takes spying to another level, you are not doing yourself any favors by ignoring the problem. It reminds me of that skit by the Onion News Network where the guy has cancer and ignores it. You can’t ignore this cancer because it is just as dangerous. With that said, allow me to defend the NSA for a second. I realize it is out of character for me, but read on. 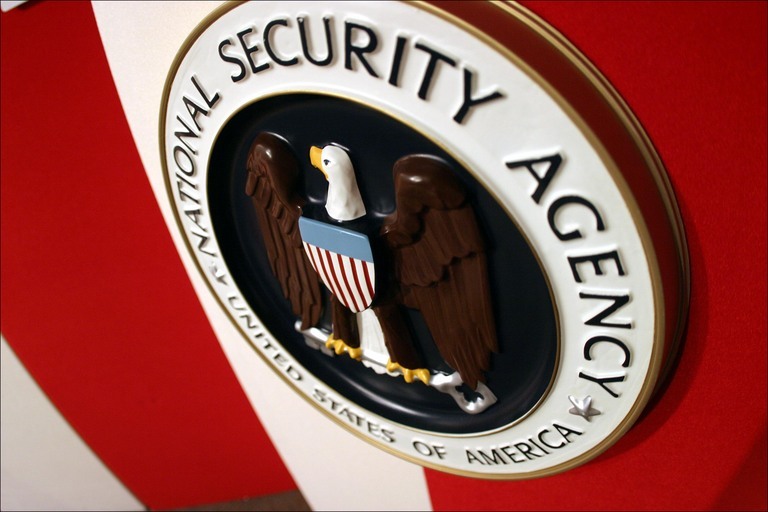 The NSA is an agency with the responsibility to stop terrorism. When a technology comes along that allows them to do that job better or easier they will use it until there is a congress and president that say “NO”. If a law enforcement agency didn’t push the envelope on these new technologies they could be to blame for the next terror attack. So my prediction is that they are not only going to continue what they are doing right now, but when the next technology comes out they are going to use that too. It could be the power to predict the future and they come arrest you for “pre-crime”, or it could be mind reading technology where you could be arrested for a “thought crime”. It could be anything, but they will use it unless by some miracle a congress and a president vehemently demand they don’t. That is not going to happen so I have compiled some things you can do to not be suspicious. After all, a law enforcement agency is going after the suspicious people. First of all, being an American is now suspicious. Your phone calls are going to be listened to, you will be photographed with facial recognition software and the GPS co-ordinances will be recorded so some idea of your routine can be stored and tabulated in a super computer. You can’t stop being an American, and even if you did, people from other countries are suspicious as hell!!! There are a few things you can do to stop acting like a suspicious American. Here’s the simple part: Stop hanging around people that are sketchy. These are people who are already a problem to law enforcement. They may even already be under a stronger form of surveillance than the rest of the American people. So don’t go to their house, don’t talk on the phone with them and don’t invite them over to your house. Most certainly don’t hang out with them in a public place. There are some of you who don’t know who these people are. Let me help a bit: Somebody with a drug problem or somebody that has had a drug problem in the past 5 years (this includes prescription drugs). GET AWAY FROM THEM!! Anybody involved in any type of drug use, drug dealing, or drug transport is not cool. Somebody you have a sexual interest in is the next suspect. You need to know about this person very well. Being involved with a sexual interest will get you put on a criminal priority list real quick if they are involved in something deemed shady. If this person has some problems then you have problems. You do the math. The next thing I will warn against is social media usage. If you are using social media then you are a suspect. Get off that crap. If you are so hooked on it then you need to make a fake account from a computer that you don’t use for anything else and only use the computer in a place where you know you won’t be photographed (but not your home). Consequently you are also suspicious if you talk or text on a telephone. If you want to not look suspicious on a phone then you will need to throw your phone away. If you need to make phone contact with somebody you will need to have a pre-arranged code name then borrow a random person’s phone and text them identifying yourself under the code name in the text. (A new blog on non-verbal communication is coming soon but for now, my example would be something like this: “Hey Care Bear this is My Little Pony; meet me at Commander Cobra’s around noon”). Another suspicious activity in America is driving. You need to read the blog we recently posted entitled “Automatic License Plate Readers (ALPR) Will Kill Thousands”. If you get in your car, count on having you and your car photographed. Having a cross reference (your tag number comes back to you and the facial recognition identifies you) is always bad. If you want to look less suspicious driving then stop driving. Grow a beard, wear a big pair of sunglasses with a hoodie-sweatshirt and have a friend drive you. You can also borrow a friends vehicle. Talking is another no no if you want to avoid being suspicious. If you have something to say you should write it down and let somebody read it, then burn the paper. Stay tuned for my article on nonverbal communication coming soon. I will write it. Just keep in mind the wheels turn slow since I am trying to not look suspicious! !